The Kansas City Royals were in last place after the first day of June. Three weeks later, they are in first place. Should we believe in them? Those questions and me complaining about the Cable Company on The Sully Baseball Daily Podcast. 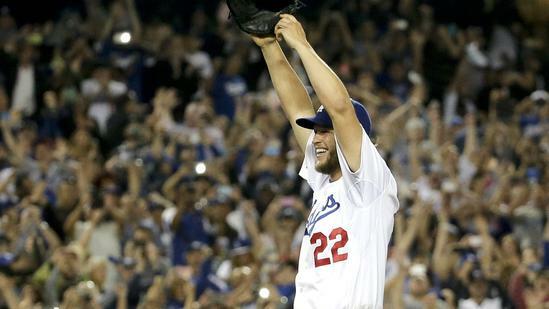 Clayton Kershaw pitched a masterpiece of a no hitter, the second for the Dodgers this season. He walked none, struck out a career high 15 and only an error prevented his 8-0 triumph over the Rockies from being a perfect game. John Lackey pitched 9 shutout innings, allowing just 3 hits, 1 walk and struck out 9 Twins. He got a no decision as the game went into extra innings, but the Red Sox walked off as 2-1 winners. Starlin Castro went 3-5 with a pair of doubles, drove in a pair and scored twice, leading the Cubs past the Marlins, 6-1. Brian McCann homered, tripled and drove in 5 runs as the Yankees beat the first place Blue Jays, 7-3. They owned baseball on June 18, 2014.